We are thrilled to share the brand new Maria and Enzo’s location with you! To begin our journey into the past, Mickey and Minnie, along with the Disney Ambassadors, arrived to celebrate the dedication of one of Disney Springs’ newest locations. Two swing dancers even swung their way into the show! 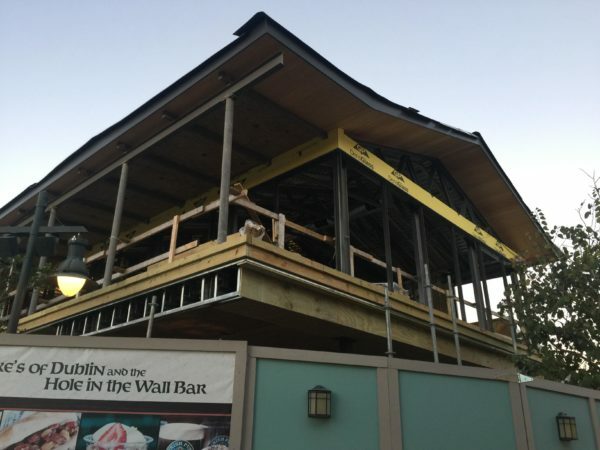 Located in the Landing at Disney Springs, Maria and Enzo’s is nestled along the water beside the brand new Edison and across from the STK Restaurant. Upon entering, you are greeted at the Passenger Check-In. The costumes are a throwback to times when air travel was glamorous and we finally had the world at our fingertips. The art deco era has always been a favorite period of ours and getting to take a trip to this whole new world of dining is a welcome experience and treat! Overlooking the dining space, you are greeted with vintage world traveling artwork and posters that welcome you into the space. In the center of the room, the featured lighting is a vintage-styled globe hanging above. While straight ahead the windows frame the water and offer peeks of the Characters in Flight balloon right outside. Tucked away off one of the gates is the First Class Lounge. It is a smaller more intimate dining area away from the main two-story dining room. There were several samplings to be enjoyed today. I started with the caprese salad skewers. The colorful tomatoes and fresh mozzarella had a light dressing on them (possibly an olive oil drizzle) that added a nice flavor and were a lovely flavor complement. I loved the pieces of fresh basil that rounded out the traditional caprese combination. The skewers were a fun twist to this salad and were a nice start to the afternoon! One treat that looked rather tasty was the Arancini di Carne – these rice-filled balls were an unexpected and savory combination of flavors. Just from the look of the outside, I was expecting something more along the lines of a mozzarella cheese ball, but the inside was filled with an incredibly savory blend of fried rice stuffed with meat ragu, peas, and mozzarella. It was wonderful and a new mix of flavors that I had not experienced before. This dish definitely did not disappoint and was the perfect flavor for a chilly day like today. The rigatoni sampler had a savory marinara sauce paired with eggplant in the mix. The sauce itself tastes like it has been lovingly cooked by a sweet Nonna for her family’s Sunday supper. It has a good balance of herbs and spices married with the freshness of tomatoes, creating a true sauce symphony, delicately complemented with the shavings of cheese sprinkled on top. Maria and Enzo’s has a way of bringing a rustic and homemade flavor to their elegant cuisine which makes it taste like something that is not only delicious but also made from recipes filled with passion and love. The cocktail and wine samplings were well rounded. The Classico cocktail was a mix of gin, vermouth, and bitters. It had a pretty color palette with the orange slice garnish and was a superb balance of flavors. I typically love sweet drinks, but this was a nice savory bouquet of flavors with just a slight hint of sweetness. If you enjoy gin-based drinks, it could be a good choice! If you prefer sweet or fruity drinks, there is an excellent selection of cocktails on the menu. We were also offered a red wine, white wine, and prosecco. The prosecco was light and crisp with hints of citrus and a well-rounded flavor. I am looking forward to trying more menu selections in the future. For dessert, the Italian cheesecake pops brought a nice “pop” of flavor. The cheesecake was creamy with a hint of citrus for a bit of lightness. There were a few different toppings, including pistachios that were sprinkled on the outside. These cheesecake pops are a great way to indulge in some dessert if you want to try a smattering of different flavors or are looking for something fun to share after a big meal. The tiramisu was wonderfully creamy and the flavor of the ricotta truly shined through. It was lightly sweet, but not to the point of covering the flavors of the cheese. Maria and Enzo’s does an excellent job of showcasing the natural flavors of the foods while enhancing those flavors without overpowering them, whether it’s with the savory dishes or finale of desserts. Should you find yourself wanting a traditional Italian treat, definitely try the cannoli! One end was filled with chocolate chips and the other had pistachios. The cream filling of the cannoli featured hints of coconut that was a pleasant departure from the various other dessert flavors in our samplings. 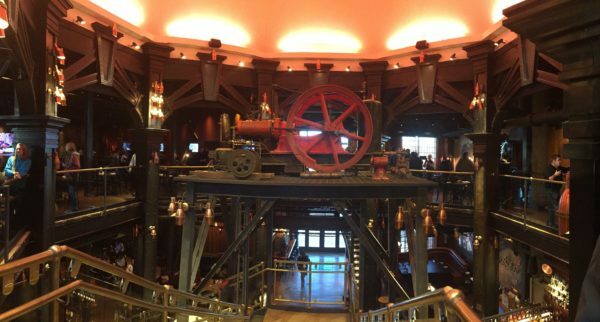 One of our favorite things about the new Maria and Enzo’s restaurant (as well as The Edison and Enzo’s Hideaway) is how they each transport you to a different time and place to share with your friends and family.